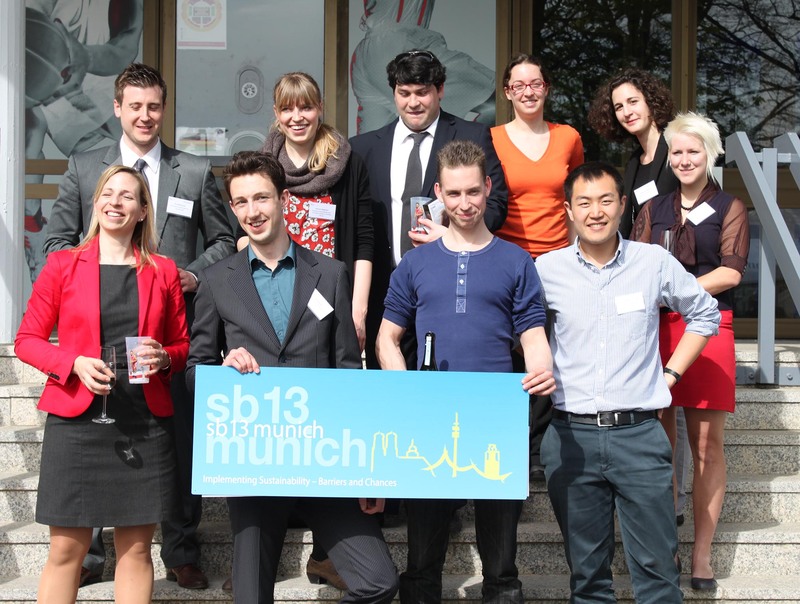 The Solar Decathlon team DTU had the pleasure to send five of its members to attend the “SB 13: Implementing Sustainability – Barriers and Changes”, a sustainable buildings conference, held in Munich, April 24-26, 2013. The conference hosted speakers such as Gerd Hauser1, Lykke Friis2 and Dexter Guinand3 who stimulated the audience to think critically about the sustainability of the future. “Sustainability is a mindset” as Dexter Guinand put it. The wide range of topics in the conference provided a broad perspective on the topic of sustainability; from urban planning to new technologies in the engineering industry. The team paid particular attention to the construction industry and buildings design. The conference presented state of the art technologies such as vacuum glazing, PVcells embedded in flexible membranes, building envelope in which algae are cultured to produce energy and wooden skyscrapers being built in only eight days. The Sustainability Conference in Munich showed it all, opening up minds and broadening horizons. The informal setting at the conference with its lunches, receptions and excursions stimulated interaction between all participants of the conference, giving our group members the opportunity to talk with representatives from companies and other universities. The team left the conference inspired and will take advantage of its extended network and knowledge. Expect to see groundbreaking sustainable innovation in the Solar Decathlon 2014.